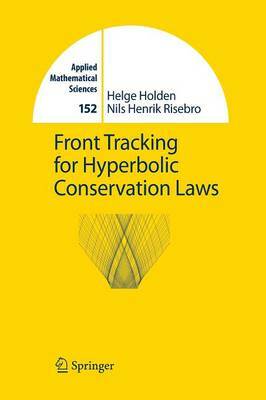 This book presents the theory of hyperbolic conservation laws from basic theory to the forefront of research. The text treats the theory of scalar conservation laws in one dimension in detail, showing the stability of the Cauchy problem using front tracking. The extension to multidimensional scalar conservation laws is obtained using dimensional splitting. The book includes detailed discussion of the recent proof of well-posedness of the Cauchy problem for one-dimensional hyperbolic conservation laws, and a chapter on traditional finite difference methods for hyperbolic conservation laws with error estimates and a section on measure valued solutions.